As a medium both for elegant expression and for useful everyday objects, glass has been around for thousands of years, as any visit to the fascinating glass museums in Toledo, Ohio, or Corning, New York, will attest. But it has only been in the last 50 years—the blink of an eye in the history of art—that the discovery of new methods and processes, along with new adaptations of some ancient ones, has opened up the kind of possibilities for art glass enjoyed by other media. 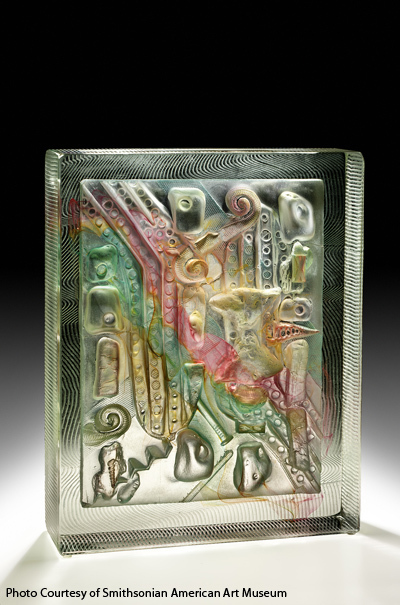 Indeed, the varied and breathtaking work of contemporary glass artists was made possible by the daring explorations of pioneers like Cleveland legend Edris Eckhardt, who was recognized with a Special Citation in 1971. 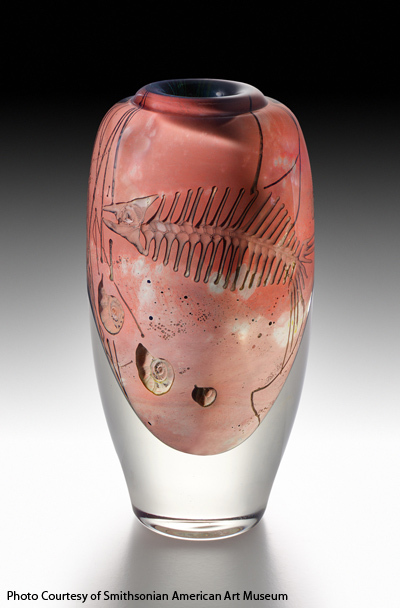 In recent decades northeast Ohio has produced a number of exciting glass artists whose work has been a delightful discovery for a generation captivated by sensuous, flamboyant glass creations. 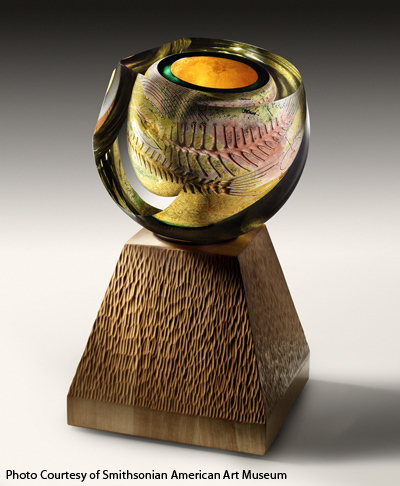 Several striking talents have emerged and begun to command attention in the studio glass world. 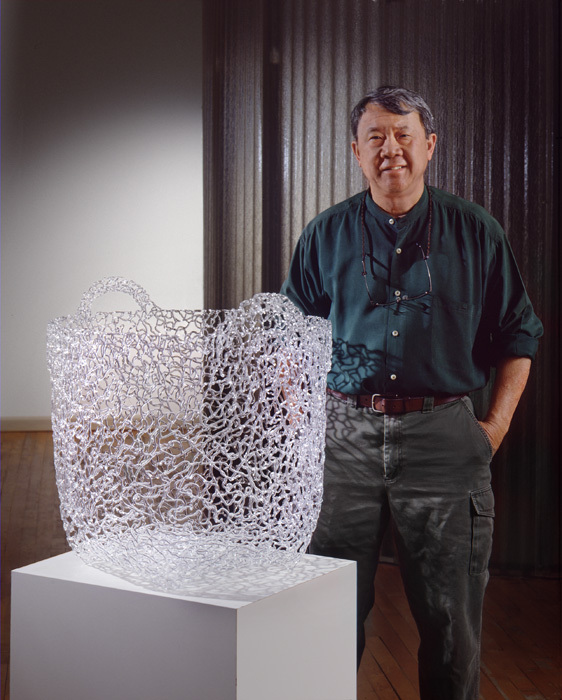 The first such artist to be recognized with the Cleveland Arts Prize in Visual Arts (1987) was Brent Kee Young, a third-generation American Chinese artist who moved to Cleveland Heights in 1973 to head up the newly formed Glass Department of the Cleveland Institute of Art (CIA). Born in Los Angeles in 1946, Young is the son of actor Victor Cheong Young (a.k.a. Victor Sen Young), who played Charlie Chan’s son on the big screen and Hop Sing, the Cartwrights’ cook on TV’s long-running Bonanza series. Having switched his major at San Jose State University from engineering to ceramics after an unexpectedly fruitful summer making pots in a friend’s studio, young Brent applied to the master’s program in ceramics, but was accepted instead, on the basis of his studio work in glass. He received his degree in 1973, and proceeded to Cleveland at the invitation of CIA’s Joe McCullough. “My work speaks of many things,” Young told Litt’s Plain Dealer predecessor Helen Cullinan in 1987, “of a respect for things natural; of ambiguity in space, form, volume, time and images that are not there. It speaks of . . . man’s marks, nature’s marks, and their relation [to one another].” The fossil-like images that appear deep in Young’s intricately layered pieces created a stir in studio glass circles around the U.S. and abroad. The year he was awarded the Cleveland Arts Prize, his work was being seen in Japan as part of an international exhibition called Glass ’87. In recent years, Young has created a series of works using quarter-inch rods of Pyrex glass that are bent, curved, and seemingly woven into complex yet fragile shapes and vessels. The result is a departure from his earlier work, but no less luminous or innovative. After four decades, Brent Kee Young’s creations continue to attract attention in the art world and are found in many private, public and corporate collections.